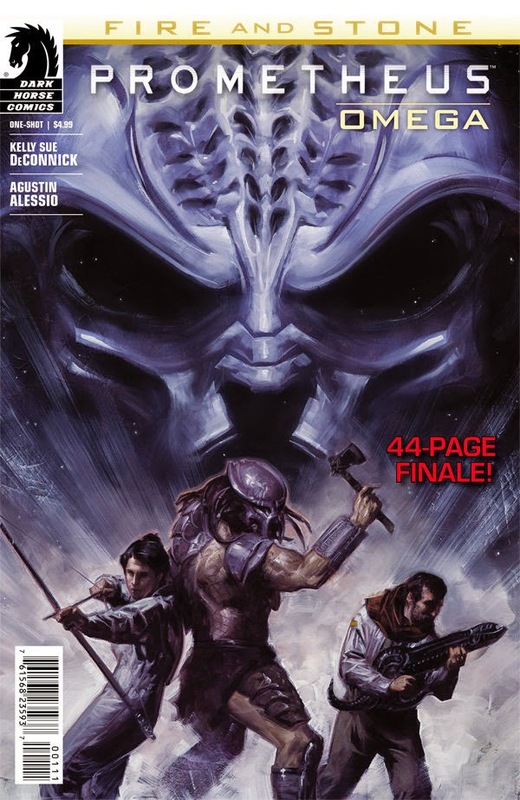 Dark Horse really took me by surprise with just how effectively it used the properties Alien, Predator, AVP, and Prometheus to create four mini-series which were self-contained with loose connective tissue. Today, Fire and Stone, one of my top comics of 2014, comes to a close with this double-sized, omega issue. This one is penned by fan-darling Kelly Sue DeConnick. Though she did not write the four mini-series, DeConnick served as a showrunner of sorts for the line of books, having everything be more like a TV writers room than what we are used to in comics. This approach has been quite successful and it will be fun to see how DeConnick brings it all home. Some of the threads have made themselves clear, but this should be a fun conclusion. 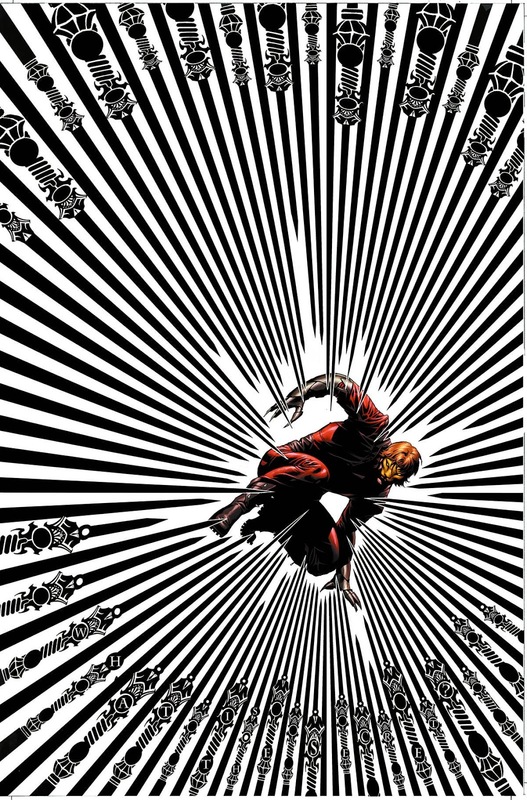 It has been quite some time since we had the debut issue of DC's Secret Six relaunch. At least two months. Now the fan favorite series continues as we finally get to see more out of this team. I came into this book a relative unknown, especially curious about how this concept would differ itself from Suicide Squad. Writer Gail Simone has made good use of the characters she likes as well as New 52 versions of others, most notably the Ventriloquist. Ken Lashley's art also really helps to make this a fun read. Hopefully the wait for issue 3 will not be quite as substantial. Kieron Gillen's Marvel work has been very hit and miss. Fans loved his runs on House of Mystery and Young Avengers, while his run on Iron Man struggled to be remotely interesting. Gillen is back in the good graces of comics readers now, however, after the success of his hit Image book The Wicked + The Divine. But who are we kidding here? 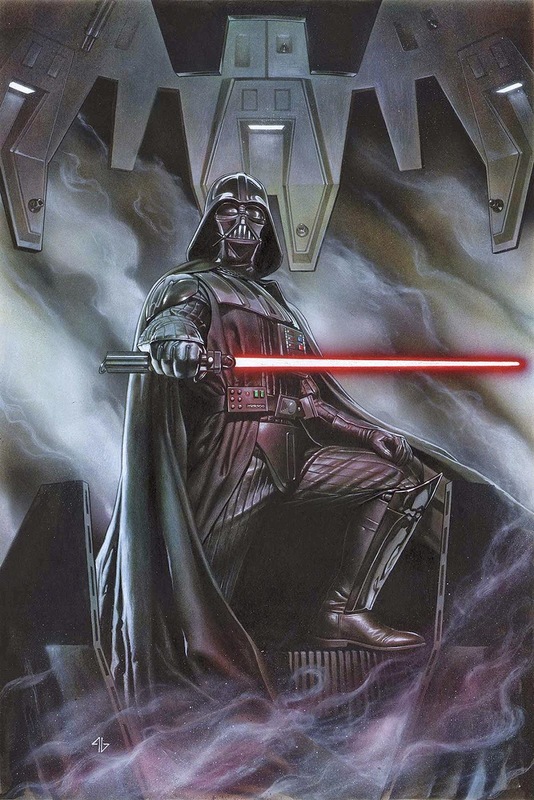 Most people are going to pick this up because it's freaking Darth Vader! Star Wars' return to Marvel continues as the Sith Lord's new ongoing series starts this week. With art by Salvador Larroca, this should be an interesting read. It will be fun to see how much this book ties into Jason Aaron's Star Wars. Spider-verse has tried REALLY hard to be a self-contained event. Despite launching a number of new Spider-family books, Dan Slott obviously wanted to try and keep the meat of the story in one book so that fans would not feel pressured into buying 5 additional series to get the story. Unfortunately, this led to a few less than meaty issues of Amazing Spider-man with editorial being a bit too pushy with how much they wanted you to pick up those other books. Luckily it all comes to an end this week. 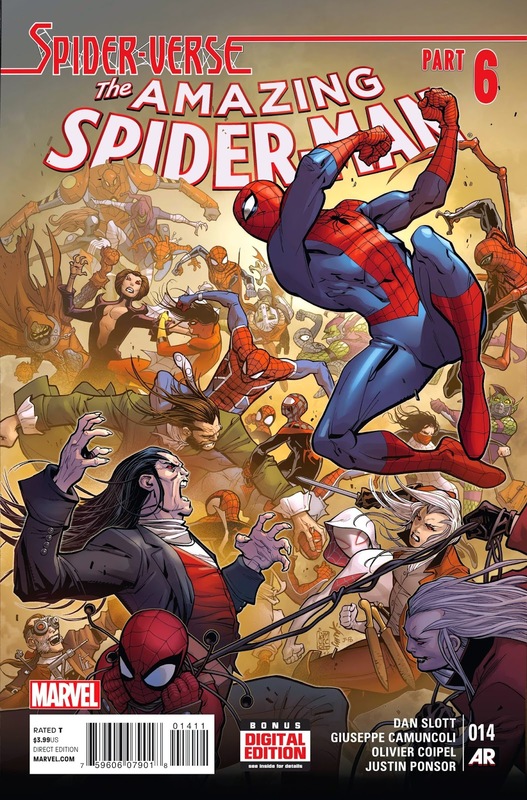 Efforts to make me read extra books aside, Spider-verse has been a fun concept...almost a primer for Secret Wars, or at least that story on a smaller scale. Perhaps Dan Slott will throw in a few surprise Spider-men before this wraps up. Okay, perhaps I'm cheating just a bit with my pick for this week as it is not, technically, a graphic novel or even a trade paperback. My pick doesn't even really have a story, but this is damn sure a must have if you're a fan of comics art, particularly comic book covers. 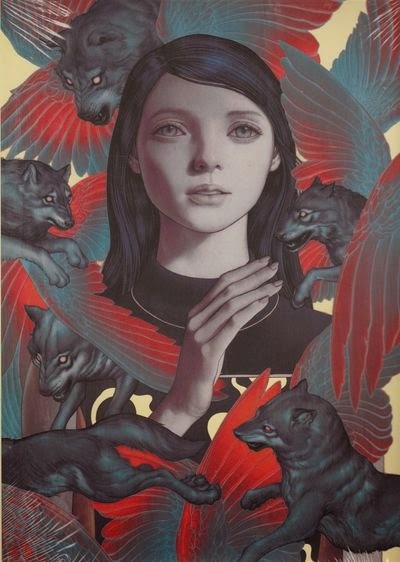 A few years ago, James Jean edited a collection of the covers to Fables, the long running series by Vertigo Comics. With Bill Willingham's fairy tale epic about to come to a close, that book is now getting a new edition, containing new commentary by Jean as well as all 150 covers of the series. Fables is unquestionably my favorite comic of all time, and it always features some of the best covers on the shelf with work by Adam Hughes, Mark Buckingham, and a number of fresh and veteran faces in the industry. This oversized hardcover collection will be a must have for fans of comic art as well as those who love Fables as much as I do. Not to mention...this book gives us our first taste of the final issue of the series as we have yet to see anything from it.